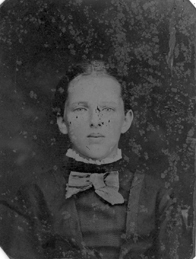 Comments: Martha Laura Duff (Nee: Gill) | PA USA | 1851-1900 | Comments: Photo was taken before she married David Elmer Duff. Moved to KS in the 1870s. 1866-1935.